In 2015, 90 percent of consumer products companies lost market share, and 62 percent suffered declining sales, much of it to agile, digitally native companies like Amazon, a company that has long been focused on using data to build personalized experiences and customer loyalty innovations (from Wish Lists to Prime shopping). The imperative for brands to innovate with IoT smart product technologies and access proprietary sources of 1st party data from their owned physical assets to drive greater customer engagement, sales and loyalty couldn’t be more urgent. 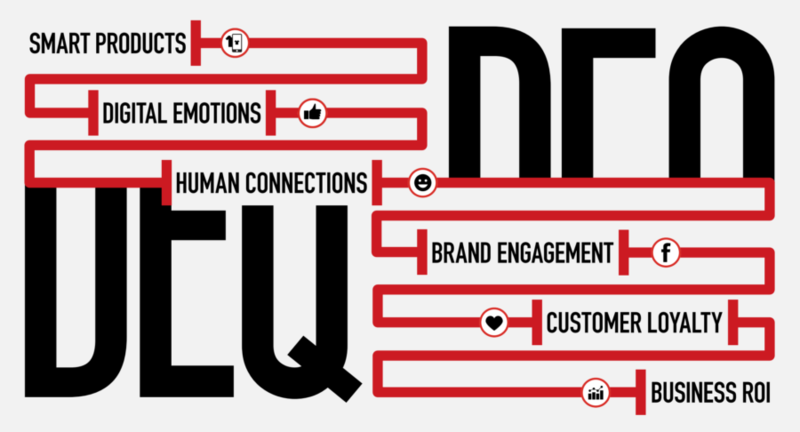 The key question raised by a new academic report launched today, “Digital Emotional Intelligence” (DEQ), commissioned by EVRYTHNG and Avery Dennison and led by Dr. Philip Powell from the University of Sheffield, is what role emotion plays in all this? One answer lies in unlocking the power of Personalization which always been at the heart of the value exchange promised by the Web. Better personalization is essential for emotional brand connection. By understanding our preferences and behaviors – with our permission – brands can deliver things that are uniquely appropriate, relevant and timely because they know us. Research has shown this leads to: “more meaningful consumer attention (Malheiros, 2012), more effective brand recognition/recall (Koster et al., 2015), and a stronger impact on consumer behaviors, leading to higher engagement rates and producing higher sales (Bragge et al., 2013).” In short: the greater the personalization, the greater the emotional connection. Only a few companies like platform giants Amazon, Netflix, Facebook and Google have successfully used personalized engagement at scale, but now product manufacturers can use a more powerful form of personalization tied to their physical products as a key way to competitively differentiate their brands. Once products can ‘talk’ directly with consumers and brands, the data from these interactions and other connected sensor and physical environments can be analyzed to deliver more personal content, services and experiences, by having a more empathetic understanding and real-time anticipation of a shopper’s emotional response. Leading brands are already responding to these shifts. The majority of the apparel industry, for instance, has either implemented or is in the process of implementing RFID, while 30 of the largest CPG manufacturers, from Mondelez to Unilever, are enrolled in the Grocery Manufacturer’s Association’s ‘SmartLabel™’ initiative (which EVRYTHNG is also partnered with), and Nike has just launched their ‘smart’ NBA jersey with an NFC chip in every tag. 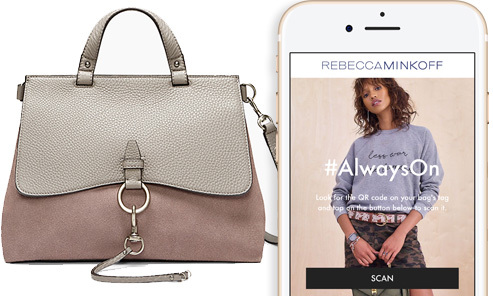 We’re super excited that our smart product partnership with designer Rebecca Minkoff has resulted in the launch this week of a new range of handbags containing digitized smart labels, incentivizing owners to scan it with their phones and unlock exclusive partner experiences, and highly personalized offers, complimentary accessories and style recommendations from Rebecca herself. 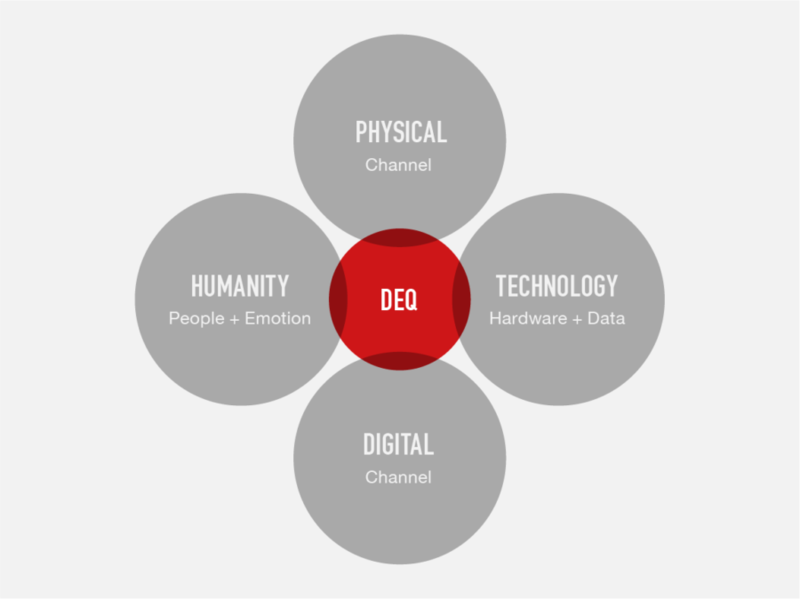 The new “Digital Emotional Intelligence” (DEQ) study outlines a framework for building more personalized, ampathetic connections with buyers by orchestrating rich, real-time brand experiences across merged physical and digital channels. Understanding DEQ can help power this new personalization imperative with data collected from smart product interactions, plus connected devices and environments. The data is activated and automated using rules-based software and machine learning in the cloud to trigger emotion responses that drive conversion and influence loyalty. Thanks to a combination of smart packaging technologies from NFC tags to QR codes and printed electronics, more than 800 billion digitally capable consumer products are expected to ship by 2020. Now iPhones have opened up to natively recognize NFC tags and also QR codes via the camera with no app required – driven by the phenomenal success of QR powering commerce, payment and product engagement at scale in Asia – will make it easier for millions more consumers the ability to digitally interact with physical packaging. EVRYTHNG’s partnership with Avery Dennison to make it possible for virtually every type of product to be #BornDigital™ at point of manufacture with a uniquely coded smart label paired with a corresponding digital identity in the cloud. Once activated, the personal, emotional connection with consumers enabled by these smart products can lead to impressive business results. Research by EVRYTHNG and reports in the Harvard Business Review have found that smart products have an 85 percent lower cost per engagement and a 152 percent lower cost per lead. A customer experience focused on emotional connection led to a 23.8 percent decrease on attrition rates. Using Internet of Things and smart product technologies, physical and digital interactions can now be merged into a unified set of connected brand experiences that form more empathetic connections with people as human beings. Brands that use this to connect more emotionally, personally, and contextually with consumers will gain a competitive advantage. Download our Digital Emotional Intelligence report to learn more.